I know that it’s January 9th, but I believe that worth to talk a little bit about how was 2016 for me. In fact, it was a great year, really great. It was one of the best year of my life, I guess, because I I achieved my goals that I didn’t think I would achieve too early. I meet new people and old friends too, I did things I liked too much, I learnt about new things, I went to tech events, I spent money and time on my personal development, I invested on courses, a lot of them. Well, I’ll write about everything below. Finally in 2016 I did it! I don’t like to say that I “conquered a job”, because it seems it’s only a place that gives me money in exchange for my productivity. I prefer to say that now I’m part of an amazing team that’s always trying to improve its skills and trying to grow up, and in the end of the month, everybody are rewarded for their efforts. Today I feel part of Wholegrain Digital, an agency based in London that focus on WordPress development. We use WordPress for everything and for everyone. If everything goes well, in the next month I’ll write a review of how was work with the Wholegrain Digital team. The pros and cons, what I’ve learnt, what I’ve lived, clients I knew and a lot of things. Oh, and I’ll write a blog post about how was my interview process to be part of Wholegrain Digital. I can’t believe. I did it! For the guys that know me from ages ago, they all know that my child dream was know the United States of America. I always ahd that dream. This year I did it! I knew the city that never sleeps. Yeah, I knew New York City. It was incredible. Wonderful places, polite people, Central Park full of snow, snowing in the Brooklyn Bridge, ice cream in the winter and a lot of things more. In addition, I had an opportunity to go to WordCamp Europe, where I could finally know a part of the guys that work in the same company I work. I knew the owners of the company, a project manager and a dev friend. 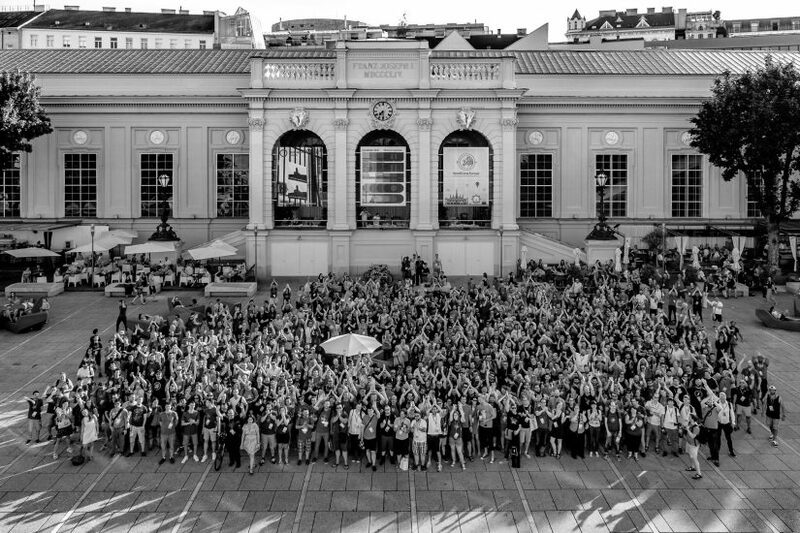 To someone that don’t know, WordCamp Europe was hosted in Vienna, Austria. If I have words to describe that city? No, I don’t. The most beautiful architecture I ever saw in the Earth. I really want to back there someday. Now I study Systems for Internet at Fatec São Roque. The name is big but it’s basically about how to create web applications, websites, apps, web security, network security, server, and things like that. One more year has ended and I can’t believe this is the last one. Some ideas for the graduation research, now I need to work on this and joy this challenge. With no doubts, one of the best investment I ever made in my entire life. DL is basically relive what you already lived, but give new meaning to things you need and then perform better what you should do for living. It’s a divisor to the people that do it and enjoy. I feel so happy to be part of this and I tell to everyone that they should do it someday. I really love this CMS. In fact I love the community behind everything, I like the guys that put all their efforts to work on this voluntarily in this project to make it grow up and be better than already is. This year was amazing, because I talked in the first WordCamp Fortaleza, about communities, how to find your dream job. The talk was not all good I would like it to be, but I’ll use my errors to improve to the next. I was a volunteer in WordCamp São Paulo too, the event that put me on the way to live working with WordPress. I helped a little bit with translations for plugins, themes, WordPress, Meta, and much other. But this year I want to do more. I’ve added a lot of names here but I felt afraid to forget someone, so I prefered to don’t do that. Therefore, I’ll thank all the brazilian WordPress community. Probably everybody helped me this year, with translations, development or calls via Skype/Hangouts to help me. I thank my friends from Wholegrain Digital that add all their efforts to make the company great and help me everytime I need. Thank you Luke for the friendship, for all the helps and because you save me everytime. Thanks to Tom and Vineeta that understand in learning process and because they help me to grow up professionally. Thank you Amina, David, Lei, Milan, Octavian, Krzysztof, Roman, Wazid, Hans, Sam, Mohib, Rachael, Irina. You all make me wake up every morning and face all the challenges! You are really great, guys! And of course, thanks to Lola and Eugene, the guys that I had the opportunity to work with. Two amazing people that teached me a lot in the time we spent in the projects we worked together. And let’s start 2017 in a good way! I hope to do a new retrospective in the next year.